I am not a believer in diets. While not true for all people, usually diets result in nothing but empty promises and gaining weight back. I believe in a lifestyle. I believe in replacing bad habits with better habits and doing a plan that is sustainable. 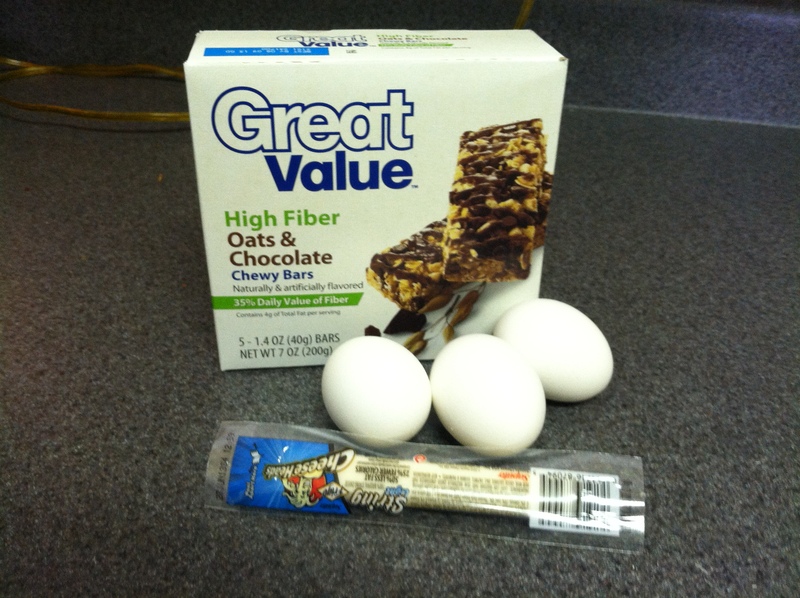 A lot of people in the running/healthy living blog world often use the term “clean eating”. Clean eating can mean a lot of different things but I most often see it used to describe an eating plan that is primarily low in processed foods, high in fruits, veggies, and lean meats. Two years ago when I shed 57 pounds, I was miserable. I was eating a restricted calorie diet, I had no cheats, I ate all the fruits I could because I despised veggies, and I went to bed every night with my tummy growling. While I was able to maintain that for the four months of my weight loss program, as soon as it was over I was back to old ways and eating everything in sight. My eating plan may have been ideal, but it was not sustainable. Fast forward to here and now. I am a binge eater. No shock there. I am also a college student so my budget is somewhat limited. Oftentimes I will say that I am eating healthy. The only kicker is that my healthy might be the farthest thing from healthy as someone else’s idea. At this point in time, it is important for me to find foods that satisfy me and keep me full while also making me feel as though I’m eating something substantial. Something I’ve discussed in therapy is substitutions. What I eat may not be “healthy” by many people’s standards, but they are much healthier than what I would normally eat. It is all about finding a substitution for what I once ate. This is super helpful in me not binge eating. If I eat a SkinnyCow ice cream, I genuinely feel like I’m eating ice cream so the urge to go binge on Ben and Jerry’s goes away. Yes, the whole natural almonds might be what is best for you but I never feel satisfied and the feeling of deprivation could lead to a binge so I get the lightly salted ones instead. Hopefully in the near future, I can make even healthier food options, but for right now I am focusing on making substitutions and finding alternatives. Before I began to tackle my binge eating disorder, I could easily put down a whole pizza by myself. I loved the taste, the smell, the warmth, everything about it. But pizza isn’t obviously something that is great for you. I substitute Lean Pocket pizzas for a regular pizza. 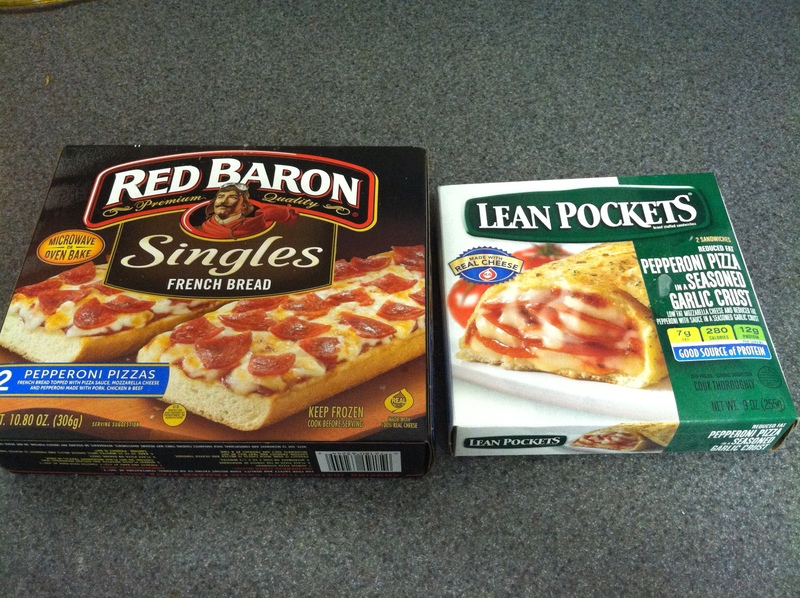 Yes, Lean Pockets are probably some people’s worst nightmares and is nothing but processed, but it works for me. I can eat one Lean Pocket and feel completely satisfied and my mind is happy that I just ate pizza. No binge in sight. I also used to love toast slathered with butter and huge sandwiches. Now, I just buy whole grain bread, but one slice in half and toast it then use Parkway No Butter Spray (basically flavored water) as my butter. I come away with only one slice of bread and it feels like two, plus I have “butter” on it. 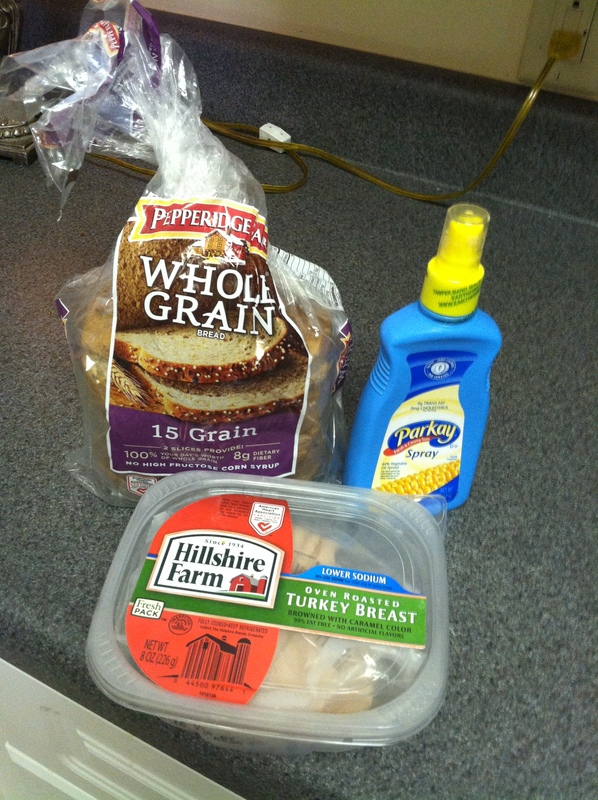 Oftentimes for lunch I will do the same thing with one piece of bread then I will add one serving size of reduced sodium turkey to it and slab some mustard on it. Totally satisfies my taste buds. As a student, there are times when I’m out and about on campus all day and don’t have access for a fridge or a microwave. So in times like these I pack a bunch of snacks. I’ll pack a boiled egg and just eat the egg white. Low fat/light string cheese is a great option too because it tastes like full flavored cheese but only packs about 2.5 grams of fat and 50 calories. Sometimes I’ll eat a chocolate chip/granola fiber bar in lieu of a candy bar. Of course it does not taste the exact same but definitely satisfies my sweet tooth. 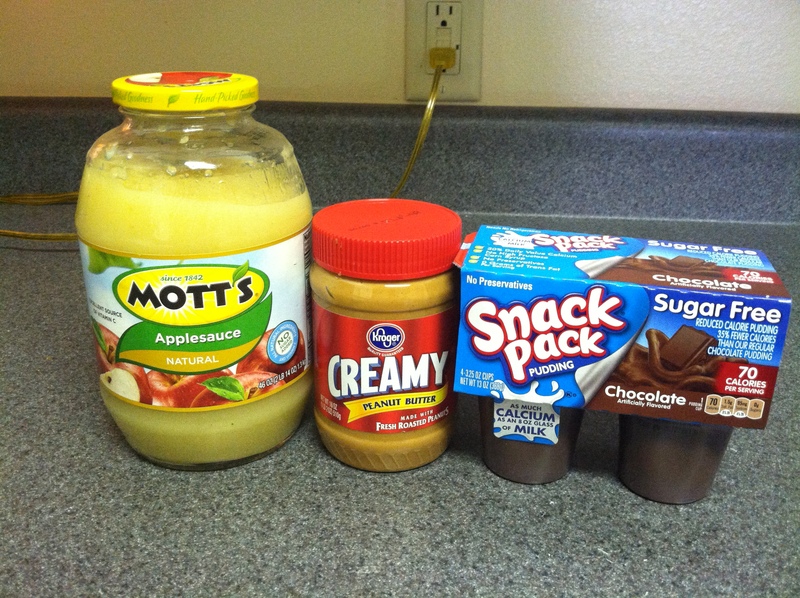 I may pack sugar-free pudding snack packs, applesauce cups, or a tablespoon of peanut butter. Anything to get me through my busy day when I don’t have time to go back to my apartment and prepare a meal. My binge cravings are the worst after about 5pm. Shortly after comes dinner so I have to make sure I eat something that will truly satisfy me or else the temptation to binge will become overwhelming. 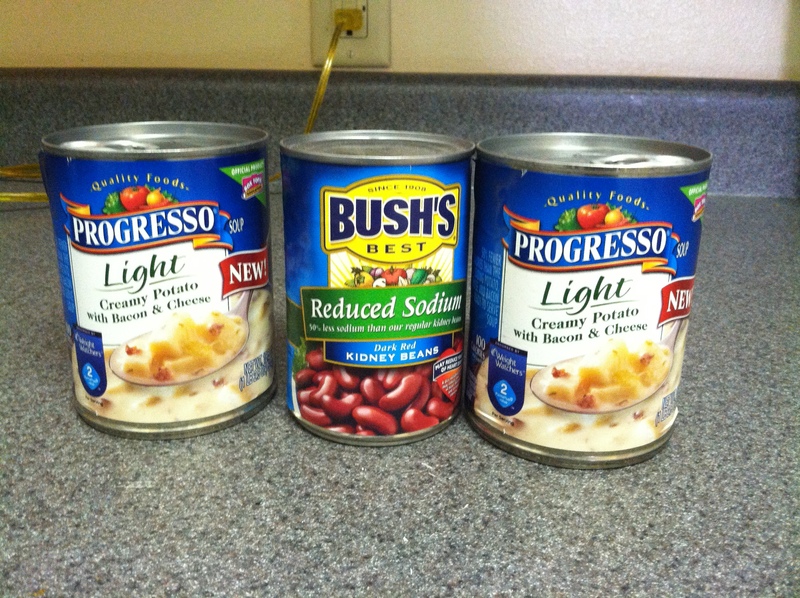 Progresso just came out with a new Light soup and I’ve found two flavors that I really enjoy. The Potato, Bacon, and Cheese soup is so great and so is the Zesty Chicken Tortilla. They are both extremely low in fat and only pack 200 calories per can. Yes, they are high in sodium, but I try to limit sodium throughout the day, so usually it doesn’t pose a huge problem. Last week I even saw the Biggest Loser contestants eating it. I also like to cook reduced sodium red kidney or pinto beans. They fill me up great and make me feel like I’m eating real southern. Again, they may not be the healthiest options in the world, but they are alternatives to what I could usually be eating. Then of course I do try to eat at least three fruits a day. 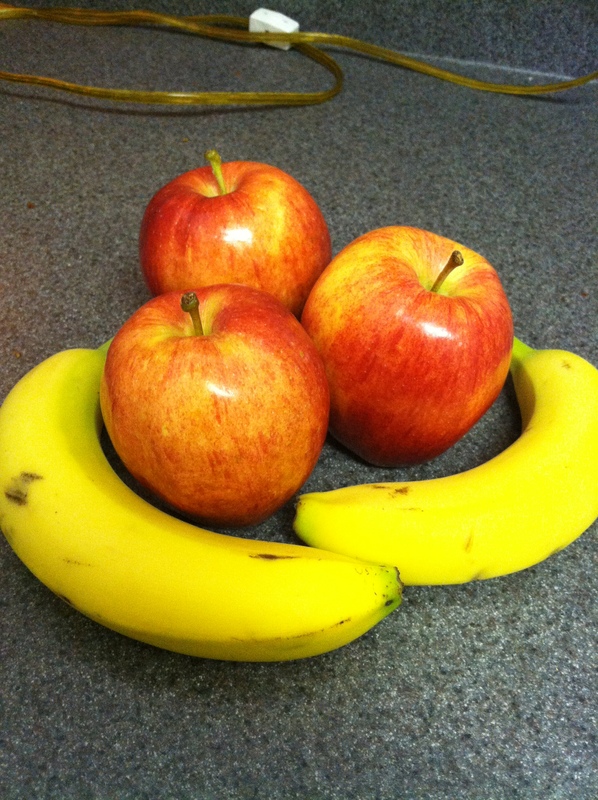 Usually I will enjoy an apple with my breakfast, a banana with my lunch, then some grapes as a snack. Those may not be the best fruits on the food guide pyramid but a fruit is a fruit. This is just a small taste (pun intended) of what I might eat on a weekly basis. Of course I do actually eat prepared meals throughout the week like grilled chicken, steamed corn, grilled turkey, etc, but that’s all the stuff that I’m supposed to eat. For me, it is all about balance. Some of y’all may have your jaws on the floor right now thinking I’m crazy, unhealthy or even delusional. I may be one or all of those things. But I’m finding what works for me and right now, using alternatives and making substitutions is what works for me and curbing a binge. These foods are also something that is convenient and that I can have easy access to, making it sustainable for long-term purposes. Change takes time, but this is just step one in changing my eating habits and patterns. This entry was posted in Uncategorized, Weight Loss and tagged binge eater, food alternatives, healthy choices, not binge eating, weight loss, what I eat by thegogirlblog. Bookmark the permalink. I have been doing the same thing!! Doing what is best for me and better for me then what I used to eat. Listening to some of the bloggers and tweets drive me a little nuts sometimes but if it works for them that thats great for them. I need to figure out what works for me or I will go in the opposite direction. Thank you for posting this!! I personally don’t see anything wrong with the substitutions you are making. People tend to forget that it should be about BALANCE. Not extremes. I eat processed food from time to time. I love me a Bertolli dinner from a bag. But I don’t eat those every night. Balance. I’m right there with you! I’m a dessert girl, so if I don’t get something sweet at the end of the day, I’ll be unhappy and hungry. So I’ve found some good substitutions (sprouted grain mini brownies that are only 160 cals for 3 brownies) that will keep me away from that 600 calorie slice of chocolate cake at the grocery store. I totally agree that it’s all about balance. It’s never going to be a lifestyle change if you’re always hungry or miserable about what you’re eating! Oh my gosh, this post is so helpful to me right now. I really fell off the nutrition wagon–cupcakes lured me in with their devilish icing hats–and I really want to get back ON the wagon. But it’s so hard to go from the unhealthy extreme straight back to the healthy one. This post is a great reminder that it’s all about taking steps to get to where we want to be. It’s not all or nothing. Thanks! you’ve got to do what works for YOU! and so proud of you for doing it. i did very similar stuff when i started my weight loss. almost 10 years later, i’m finally to a point where I don’t really crave that sort of food daily-and will just have a “cheat” meal here or there. baby steps my friend! you’re doing great! Way to take it one step at a time. Like you said, it should be about something that is maintainable and a lifestyle, not a diet. Keep up the great work!